CTET-JULY 2013 on CBSE/CTET website. Government can also consider the CTET if it decides not to conduct the State TET. recruitment/employment as it is only one of the eligibility criteria for appointment. in final year of 2- year Diploma in Elementary Education (by whatever name known). in accordance with the NCTE (Recognition Norms and Procedure), Regulations, 2002.
in final year of 4-year Bachelor of Elementary Education (B.El.Ed). in final year of 2-year Diploma in Education (Special Education)*. Education (by whatever name known). Regulations issued from time to time in this regard. in final year of 4-year Bachelor in Elementary Education (B.El.Ed). in final year of 4-year B.A/B.Sc.Ed or B.A. Ed/B.Sc.Ed. to reserved categories, such as SC/ST/OBC/Differently abled. National Council for Teacher Education (NCTE) only shall be considered. (RCI) only shall be considered. (iii) Training to be undergone: A person with D.Ed. (Special Education) or B.Ed. recognized 6-month Special Programme in Elementary Education. CTET Certificate shall be valid only on passing the aforesaid Examinations. appearing in Central Teacher Eligibility Test. will be no negative marking. There will be 2 papers of CTET. VIII) will have to appear in both the papers (Paper I and Paper II).  Candidates can only apply On-line for CTET-JULY 2013.
with the original CBSE copy of Challan if fees paid through Challan. 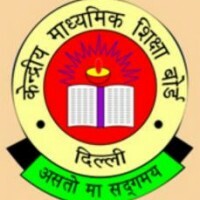 e-Post Office in favour of Secretary, Central Board of Secondary Education, Delhi. keep it ready with you while logging on to website for submitting application form. www.ctet.nic.in after completing Part-I of Registration. The Confirmation Page sent by Courier shall not be accepted. 02:00 PM without paying any charge. 35. HAMIRPUR DAV PUBLIC SCHOOL, HAMIRPUR-177001 H.P. KADUTHURUTHY, PO THIRUVAMPADY, KOTTAYAM DIST. 78. JAIPUR INDIA INTERNATIONAL SCHOOL, KSHIPRA PATH, OPP. 91. BAREILLY BISHOP CONARD SR. SEC. SCHOOL, 38, BAREILLY CANTT.